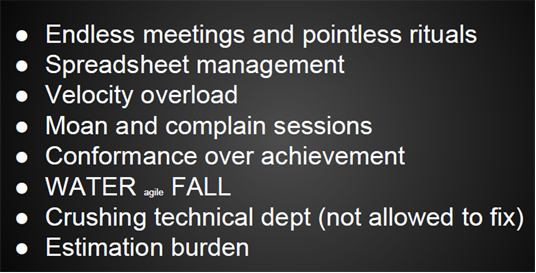 I do, however, remember that the presenter was talking about agile processes gone awry. It’s funny how these maladies have been around forever: pre-agile and post-agile. Resilient little cockroaches, no?